When homes are surrounded by other homes, great views can get lost in the mix and leave you with a deck that simply overlooks another home’s backyard. Adding a rooftop deck can help you get above the crowd, so you can enjoy the available view. Attached decks and patios can offer one entertainment area, but where more room is needed or to preserve yard space for grass and gardens, a rooftop deck can offer the best of both worlds – entertainment space without sacrificing your yard. Many builders are seeing an increase in rooftop entertainment areas in recent years, and this may be one reason why. Along with more rooftop decks, builders and home improvement experts are also seeing a trend in turning these outdoor areas into complete living space, with outdoor kitchens, comfortable seating areas, and other amenities like bar fridges and running water. Rooftop decks aren’t a new home feature, but back in the day when they first became popular, there were often problems with leaking rooftop decks, due to the lack of adequate deck waterproofing. 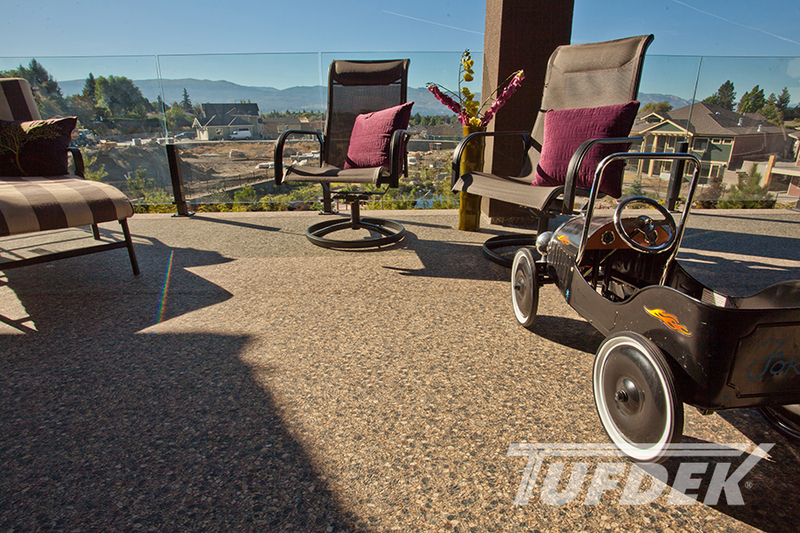 Tufdek Vinyl Decking offers a walk able rooftop decking surface that can stand up to both traffic and the force of Mother Nature. Older rooftop decks often feel a bit stale and sterile, installing a new vinyl roof surface as well as investing in plants, lights, and seating can turn older roof decks into inviting spaces where you and your family will want to spend more time. For hotter climates, installing portable shades and umbrellas can help to beat the heat so you can still enjoy your roof deck on those hot days. While homes and town homes are certainly great choices for roof decks, many other types of buildings are embracing the roof deck trend as well. Office buildings are finding that roof decks are a great place to create outdoor green spaces for workers to enjoy; while hotels are taking advantage of the extra square footage to install gardens, pools, and private terraces to attract guests. In a nutshell, yes! Renovating or installing a rooftop deck is a great way to add value and square footage to your home or building. Most owners can expect to recoup the full value of the deck upon resale, and many real estate experts indicate that a newer rooftop deck can help a house sell in half as much time. However, in order to get the most out of a rooftop deck you want to ensure that the deck is built according to local building codes and uses high-quality decking components, such as a Tufdek Vinyl Deck surface! Waterproof Vinyl Decking by Tufdek™ from Tuff Industries Inc. on Vimeo.